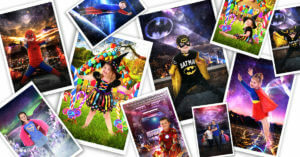 Kidshotz Character Photographs let your child become a star! Super Hero, Princess and Movie Character, anybody your kids want to be. We help you fundraising day, midweek, that can be hosted by your local preschool, playgroup or Kindergarten.